Late this afternoon Hines, the developer of 1144 Fifteenth Street has given Denver Urban Review the green light to share the updated renderings of this skyscraper. All Images are courtesy Hines. Site prep work is already underway at the site as construction will begin in earnest in the coming days. 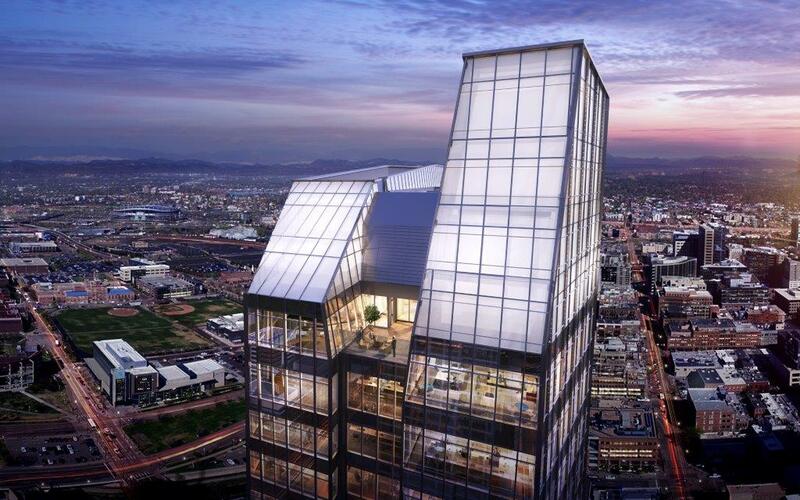 The 40 story office tower will be the tallest office tower built in Denver since the energy boom of the 1980s. 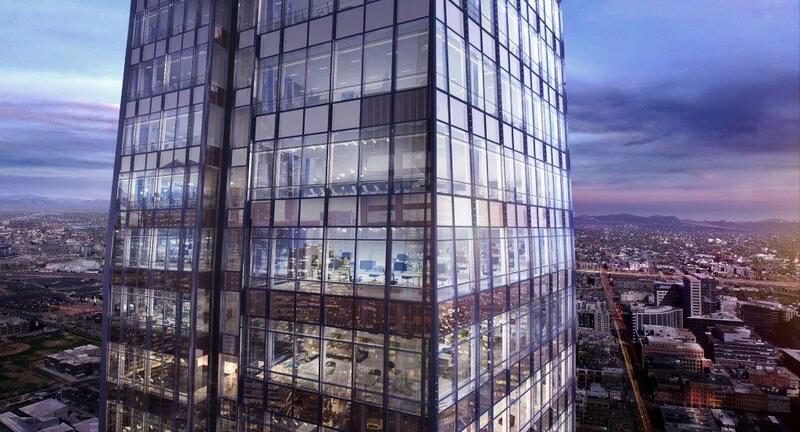 The project will consist of 27 floors of office space on top of a 13-story parking podium. 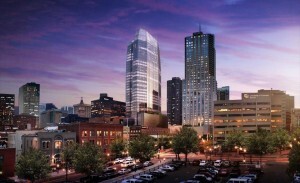 The tower will be located on 15th Street between Arapahoe and Lawrence. 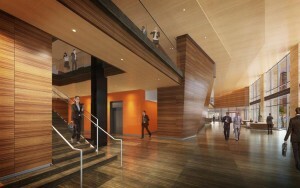 The architect of record on this project is Pickard Chilton. ​The planned office tower will be constructed on the same block as the Four Seasons Hotel and Residences. The building will include 640,000 square feet of office space, a 5,000 square foot fitness center, and ground floor retail. 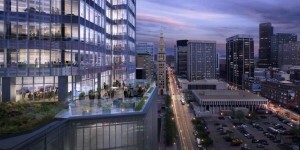 ​1144 Fifteenth will add to an already impressive Denver portfolio for Hines. 1515 Wynkoop and 1601 Wewatta, mixed-use office and retail buildings in LoDo; Wells Fargo Center, a 50-story office tower in Denver’s CBD; 4600 South Syracuse, a 13-story office building in the Denver Tech-Center; and a four-story office building in Broomfield have been developed by Hines. 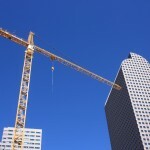 ​“We are very excited about introducing this new icon to the Denver skyline. 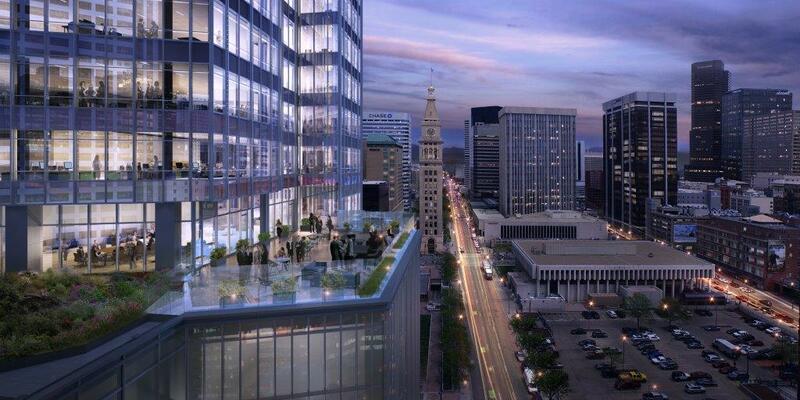 1144 Fifteenth will set a new standard for Denver’s high-rise office space and enhance our city’s urban experience. It has been nearly three decades since Denver has received an office tower of this size and scale. 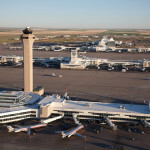 We strongly believe that the quality and location of this building will be appealing to a wide range of tenants and ultimately, once finished, we feel this will be the premier asset in all of the Rocky Mountain west,” stated Hines Managing Director, Jay Despard. Way to go man for getting these! This tower is amazing! Thanks Rob! I am truly excited to see this skyscraper rise! This will be a tremendous addition to Denver’s urban fabric.